On today's blog we look at the International Day for the Conservation of Mangroves, a 44-mile public path opening on the North East coastline, the EAC's report on heatwaves, dividends for water company shareholders and food stockpiling. 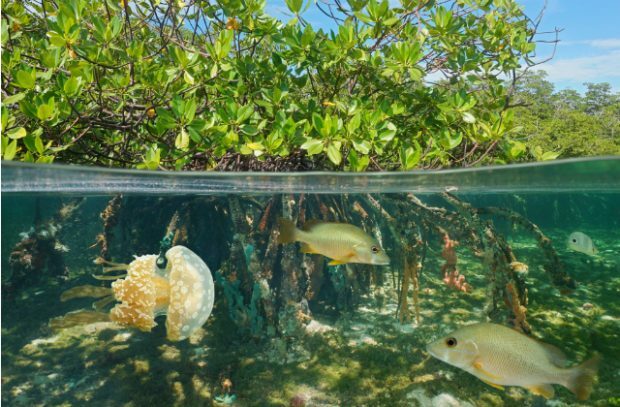 Today (26 July) is International Day for the Conservation of Mangroves and Environment Minister, Thérèse Coffey celebrates these unique and delicate ecosystems in an article for the Daily Express. A mangrove is a forest habitat that straddles the coastline of many tropical countries including Madagascar and Indonesia which forms the boundary between where the land finishes and the ocean starts. The plants have adapted to live in salt water and nutrient-rich mud and instantly recognisable large root structures give mangroves some of their special features. By protecting the mangroves of the tropics, the Minister writes, we will reduce carbon in the atmosphere and ensure those communities that rely on them have flood and storm protection for future generations. In 2016 I approved, through International Climate Finance, the establishment of the ‘Blue Forests’ initiative run by the UK organisation, Blue Ventures. The aim of the project is to reduce deforestation of mangrove habitat, create new sustainable livelihoods, support community health and women’s empowerment and increase climate resilience in coastal communities. The UK, through our overseas development funding, has committed £10.1 million to this programme over a period of seven years – protecting mangroves and some of the poorest coastal communities around the world. We expect the Blue Forests programme to protect around 20,000 hectares of mangrove forests, deliver around 13.9 million tonnes of carbon dioxide savings and benefit over 100,000 people. After its first year, particular highlights included increasing the number of hectares of mangrove forest protected or under sustainable local management to 5,700 hectares; creating and implementing 11 sustainable community-owned mangrove forestry management plans; and the development and integration of multiple alternative livelihoods. For example bee keeping, which has trained eight beekeepers across three villages, provided 149 kg of honey this year alone and whose ongoing trials involve the Malagasy Women’s Association in Madagascar. More information on the Blue Forests project is available on the Blue Ventures website. 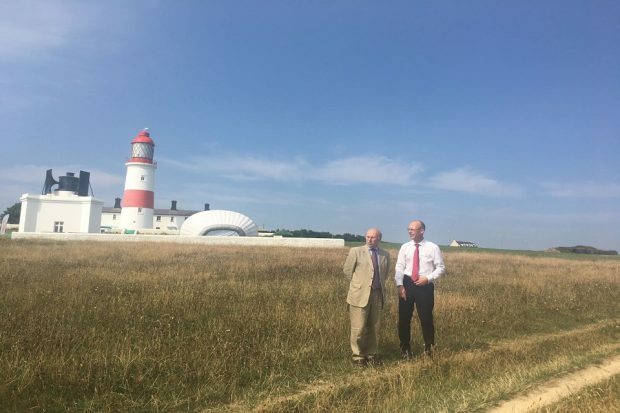 Lord Gardiner has today attended the opening of a 44-mile stretch of North East coastline, part of a route that will eventually form the longest continual coastal walking route in the world. The opening of the England Coast Path stretch between South Bents and Amble has today (26 July) been covered by regional media including The Northumberland Gazette and Shield Gazette. The new route will not only give walkers uninterrupted access to a new strip of the coastline, but will also provide a boost for the local economy. Walkers will now be able to explore the coast around the river Tyne and into Northumberland, linking the beaches and dunes of Druridge Bay to the resorts and ports further south. England’s stunning coastline is a national treasure. The England Coast Path is already playing a significant role in opening up access to our most spectacular sites, ensuring sensitivity to the environment while making a valuable contribution to our rural economy. With Northumberland home to some of the country’s most breath-taking coastal scenery, the new path makes it easy for all to access this beautiful area. The South Tyneside, North Tyneside and Northumberland stretch is the tenth section of Natural England’s flagship England Coast Path project to open. The project aims to open a 2,700 mile path around the entire English coastline. There is widespread coverage this morning of the Environmental Audit Committee’s (EAC) report Heatwaves: Adapting to Climate Change. The EAC’s report also makes a number of recommendations relating to regulations when building new homes to prevent overheating, public awareness of heatwaves and summer pressures on the NHS. The Government will carefully consider each of the report’s recommendations. The Government is taking robust action to ensure our country is resilient and prepared for the challenges a changing climate brings. We recently published an updated long-term plan to deal with the effects of a changing climate. The revised National Adaptation Programme sets out the government’s ongoing investment and work to ensure we are resilient to climate change – including working to improve flood defences, improve the security of water supply, and facilitating the construction of large-scale infrastructure. This plan also sets out how we will deliver more, better quality and well-maintained local green infrastructure; and adapt our health systems to protect people against the impacts of climate change, such as ensuring all clinical areas in NHS Trusts have appropriate thermal monitoring in place. The revised National Planning Policy Framework, published this week, contains a new requirement for local housing plans to proactively mitigate for the risk of overheating from rising temperatures. MHCLG has also commissioned a research project investigating overheating in new homes, to inform future policy on climate adaption in new homes. This is due to be completed this summer. In the short term, the Government’s Heatwave Plan for England provides guidance on how to prepare for and respond to a heatwave, and this includes guidance for those looking after schoolchildren, indoors and outdoors. It also offers advice on how to reduce summer deaths and illness by raising public awareness and triggering actions in the National Health Service (NHS), public health, social care and other community and voluntary organisations. A central part of the plan is the Public Health England-commissioned ‘Heat-Health Watch’ alert service which operates from 1 June to 15 September. These alerts are cascaded to a wide range of health and social care organisations, as well as PHE Centres and Regions. 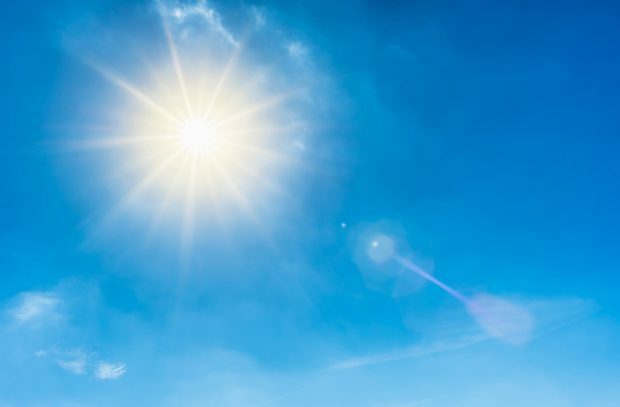 In addition, PHE provide advice to the public and health and social care professionals in affected regions, in preparation for an imminent heatwave, via NHS Choices, and the websites of the Met Office, PHE and DHSC. We will continue to support vulnerable people across society by issuing public health alerts during spells of hot weather, providing advice to schools, and taking steps to tackle overheating risks in new homes. The Government will carefully consider each of the report’s recommendations. Today’s Mirror includes a story on the £6.5 billion paid to shareholders by water companies in the last five years. 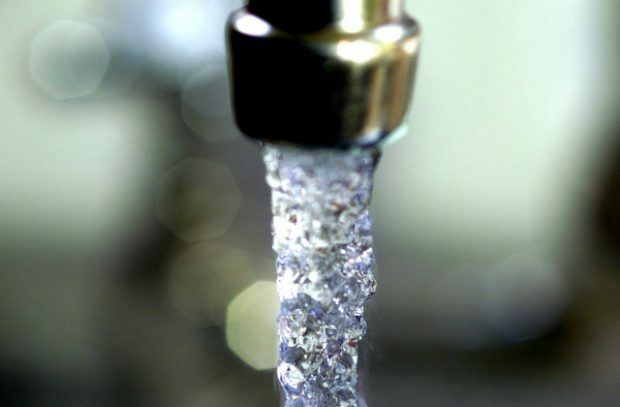 Research commissioned by the GMB Union and Corporate Watch found that last year alone £1.4 billion was paid out to in dividends by the top nine water firms. Also today, BBC Breakfast Business and The Times report on CC Water’s annual ‘Water Matter’ survey, which found that while 92% of customers were satisfied with the service they receive, 72% of customers didn’t feel like they were getting good value for money. The Environment Secretary could not be clearer, he expects water companies to focus less on financial engineering and more on improving engineering in our infrastructure. We need a water industry that works for everyone and ensures the best possible value for bill payers. There has been widespread coverage this morning following comments made by the Prime Minister and the Secretary of State for Exiting the EU surrounding preparations for essential commodities, including food in the event of a no-deal Brexit. This has been covered by the BBC, Express, Guardian, Metro, Independent, Telegraph and Mirror. 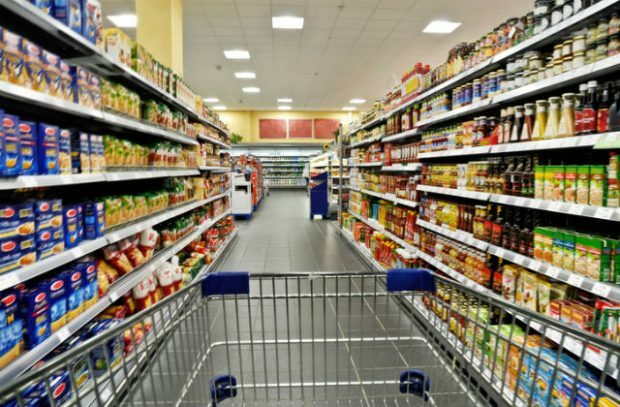 During a select committee hearing on Tuesday, the Secretary of State for Exiting the EU Dominic Raab clarified that, as part of ensuring there is an adequate supply of food in the country, the government would work with industry to ensure a no-deal outcome would not disrupt the UK’s supply of food. Similarly in an interview with Channel 5 News yesterday, the Prime Minister explained that while the government is working to reach a deal with the EU, plans for every eventuality need to be made. Subsequent coverage has suggested that the government is preparing to stock pile food. This is misleading and incorrect, as there will be no need to stockpile food. As the Brexit Secretary has made clear, we have no plans to stockpile food. The UK has an excellent level of food security, built on access to a range of sources including strong domestic production. This will continue to be the case as we leave the EU, whether we negotiate a deal or not. Following further coverage of the badgers in hot weather story, Natural England has issued an updated statement. We are taking every possible step to ensure badgers do not suffer unnecessarily in the two areas where culling is underway. We have written to everyone authorised to trap badgers to say they should cease trapping if there is a risk trapped badgers could suffer in the hot weather. We have also brought forward the time by which trapped badgers should be culled or vaccinated from midday to 8am – or within 3 hours of dawn – so that badgers are not in traps at the hottest time of day. We are continuing to monitor the situation carefully to ensure badgers are treated humanely. As ministers have said, no one wants to be culling badgers forever, but this is one part of our strategy to eradicate bovine TB which causes devastation to herds every year. A review is currently underway to consider whether changes to the strategy are needed. Badger control has been authorised in two areas so far this year as part of supplementary culling operations. Any further licensing decisions will be made later this summer. We publish clear Best Practice Guide to ensure culling is as humane as possible and contractors are trained to deploy cages within cover to mitigate against exposure to hot or cold weather. Natural England is carrying out monitoring in the two areas authorised for supplementary badger culling. Checks have been carried out in both areas and so far no issues that would compromise badger welfare have been found. In the two cull areas currently authorised, based on previous experience we expect on average one or two badgers per night will be culled, and where trapped they are being removed swiftly. There is published evidence showing the current culls are associated with a reduction in TB in cattle https://onlinelibrary.wiley.com/doi/pdf/10.1002/ece3.3254. This peer-reviewed scientific study showed a significant reduction in TB breakdowns after two years of badger control in the first two cull areas. Culling was associated with 21% reduction in TB incidence in the Somerset cull area and a 58% reduction in the Gloucestershire cull area.